When it come to Christmas time there are many icon images that come to mind! Snowmen, Christmas pudding, Santa , dinosaurs, Christmas trees. Well maybe not the dinosaur bit! However I do love a dinosaur and I love even more a Santa hat wearing dinosaur. 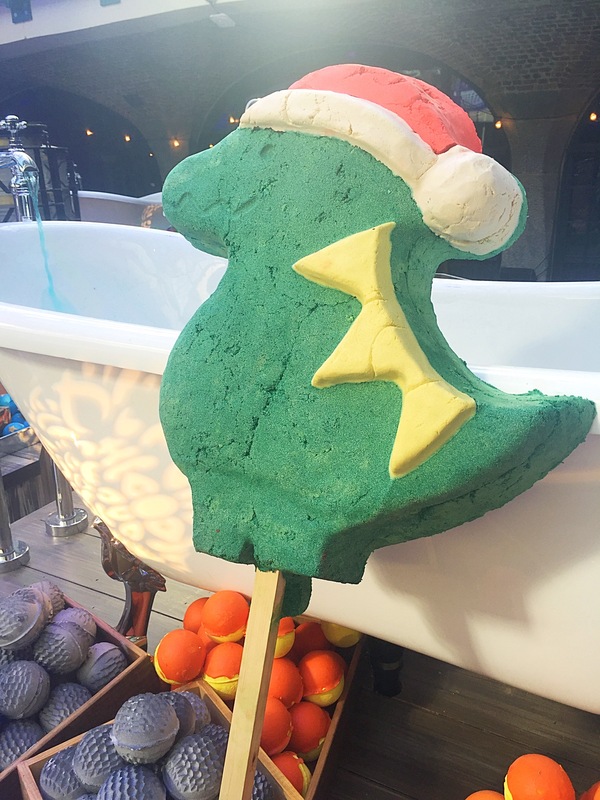 I was therefore super excited about the release of the brand new Santasaurus bubble bar. This is possibly one of the cutest reusable bubbles bars Lush have ever created. What more do you want than a tiny little green dinosaur on a stick, which will create the most wonderful smelling bubbles. 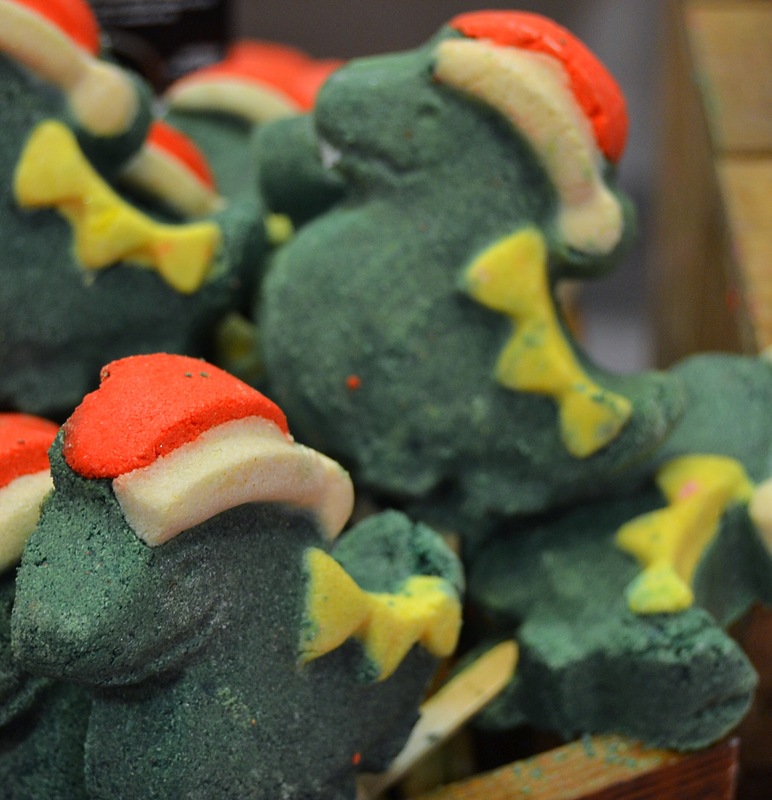 This little bubble bar would be the perfect stocking filler and I’m sure would be loved by everyone no matter their age. Scented with the amazing Honey I Washed the Kids scent. This is defiantly going to be a firm favourite of mine this Christmas. This refreshing and uplifting sweet honey scent with a slight fruity twist is a wonderfully conforming scent. It smells so good it’s one of those products that I don’t no if I should be eating it or popping it in my bath. 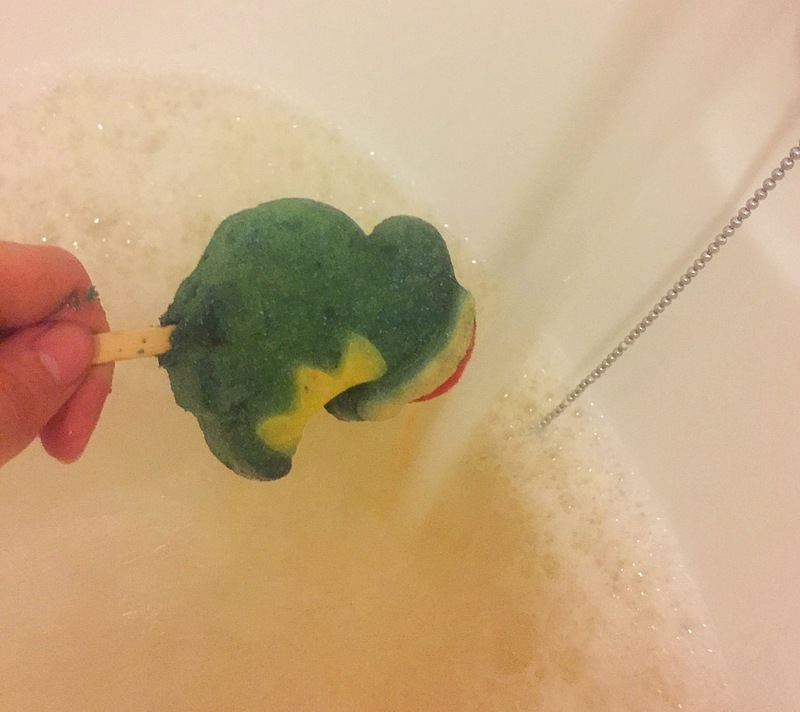 The reusable bubble bars are a little bit different to the normal bubble bars. The bar comes on a stick so that you can hold it under running water. When you have the appropriate amount of bubble for you bath you can pop it somewhere safe to dry and then use it another day. You could easily get a good 4 baths out of one bar which makes it great value for money. 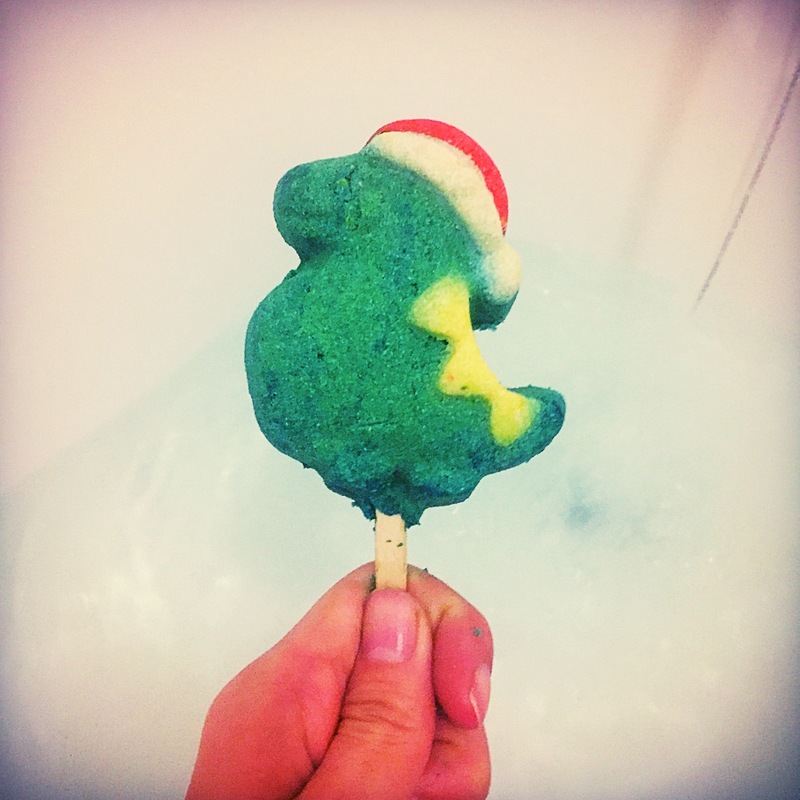 Overall I am really impressed with the Santasaurus reusable bubble bar! I love the design and i am defiantly buying everyone I know one for Christmas. The scent it’s so yummy, I just can’t get enough of it! I’m defiantly going to be stocking up on this one to keep me going all year long.